While children are growing up, it’s important to provide them with nourishing foods that can sustain their growth and it all starts in the kitchen. Trying to introduce all organic recipes into your household, may not please everyone but they will surely benefit from eating them. Just bringing in fruits and vegetables into your kitchen, sadly, is not enough. Instead, there are organic recipes that you can try to stealthily transform any fussy eater – they’ll be none the wiser. 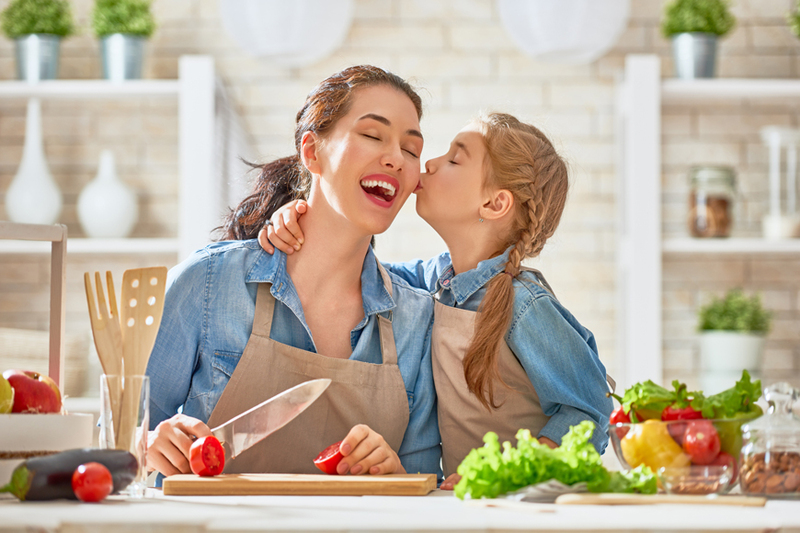 As hard as mothers strive to cook only the best for their children, using organic ingredients for organic recipes will ensure that your little one is growing up strong and healthy. And always remember to wash your organic vegetables and fruits thoroughly to make sure there are no pesticide residues. A great alternative to regular potato fries and definitely French fries – avocado fries will give your child the crunch they desire and the creamy goodness of the vegetable. Avocados have been proven to protect the heart, increase brain function and aid with any inflammation in the body, control blood sugar and regulate insulin. And baking the avocado fries removes any unnecessary oil that you might get when you fry them, leaving behind any unhealthy components and focusing on the good nutrients. With almost 16g of fat, its best if you serve this as a side dish or a snack for your child. You can also make the same recipe but replace the avocados with sweet potato for another healthy alternative. 6. Bake for 12-15 minutes until golden brown and enjoy! A healthy take on a veggie pizza, this flatbread will make your children want more – they are vibrant, tasty and full of energy. This recipe can be served cold and takes only a few minutes to make but will be devoured in seconds. By using lots of organic vegetables as pizza toppings, you can transform this healthy meal into an activity – bring the kids into the kitchen, let them add as much vegetables as they want and decorate the pizza in whichever way they’d like. This is a great dinner snack for your young ones as it’s not super heavy and will guarantee a good night’s sleep. Ending the list with something easy and sweet, this creamy mango ice cream is healthy and dairy free – using frozen bananas for that combining factor. A healthy dessert option for your little ones that they’ll enjoy all year long is super easy and adjustable with any other seasonal fruit. This ice cream is not packed with synthetic sugar or dairy unlike most ice creams out there – so it won’t make your child’s stomach upset or give them a sugar rush.